As the Fenwick Gallery moves to its new location in the recently constructed Fenwick Library addition, we are featuring an exhibition of online video art by Mason Students. As part of each exhibit, we select books from the library collection that compliment the exhibit theme. For this exhibit, the book list consists of digital library materials available online as the gallery space and many of the library books are moved to the new building. 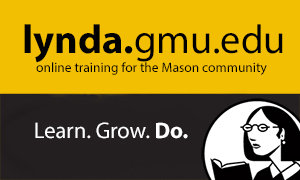 George Mason students can access the Fenwick Gallery Lynda.com playlist associated with the exhibition using their Mason NetID and Patriot Pass. Drawing Lesson Five: In Praise of Mistranslation—Art21 Presents William Kentridge. Films On Demand. Films Media Group, 2012. Web. 23 Nov. 2015. Book descriptions below provided by publishers. This text focuses on women's film production in Brazil from the mid-1970s to the current era. Marsh explains how women's filmmaking contributed to the reformulation of sexual, cultural, and political citizenship during Brazil's fight for the return and expansion of civil rights during the 1970s and 1980s. A History of Video Art is a revised and expanded edition of the 2006 original, which extends the scope of the first edition, incorporating a wider range of artists and works from across the globe and explores and examines developments in the genre of artists' video from the mid 1990s up to the present day. In addition, the new edition expands and updates the discussion of theoretical concepts and ideas which underpin contemporary artists' video. Tracking the changing forms of video art in relation to the revolution in electronic and digital imaging that has taken place during the last 50 years, A History of Video Art orients video art in the wider art historical context, with particular reference to the shift from the structuralism of the late 1960s and early 1970s to the post-modernist concerns of the 1980s and early 1990s. The new edition also explores the implications of the internationalisation of artists' video in the period leading up to the new millennium and its concerns and preoccupations including post-colonialism, the post-medium condition and the impact and influence of the internet. How do films work? How do they tell a story? How do they move us and make us think? Through detailed examinations of passages from classic films, Marilyn Fabe supplies the analytic tools and background in film history and theory to enable us to see more in every film we watch. Ranging from D. W. Griffith's The Birth of a Nation to Spike Lee's Do the Right Thing, and ending with an epilogue on digital media, Closely Watched Films focuses on exemplary works of fourteen film directors whose careers together span the history of the narrative film. Lively and down-to-earth, this concise introduction provides a broad, complete, and yet specific picture of visual narrative techniques that will increase readers' excitement about and knowledge of the possibilities of the film medium. Shot-by-shot analyses of short passages from each film ground theory in concrete examples. Fabe includes original and well-informed discussions of Soviet montage, realism and expressionism in film form, classical and modern sound theory, the classic Hollywood film, Italian neorealism, the French New Wave, auteur theory, modernism and postmodernism in film, political cinema, feminist film theory and practice, and narrative experiments in new digital media. Encompassing the earliest silent films as well as those that exploit the most recent technological innovations, this book gives us the particulars of how film--arguably the most influential of contemporary forms of representation--constitutes our pleasure, influences our thoughts, and informs our daily reality. Children of Marx and Coca-Cola affords a deep study of Chinese avant-garde art and independent cinema from the mid-1990s to the beginning of the twenty-first century. Informed by the author¿s experience in Beijing and New York¿global cities with extensive access to an emergent transnational Chinese visual culture¿this work situates selected artworks and films in the context of Chinese nationalism and post-socialism and against the background of the capitalist globalization that has so radically affected contemporary China. It juxtaposes and compares artists and independent filmmakers from a number of intertwined perspectives, particularly in their shared avant-garde postures and perceptions. Timeshift explores the powers and capabilities of video and the cultures it thrives in. Adding a new dimension to film, television and computer media, video has the potential to become a uniquely democratic medium. Sean Cubitt shows that viewers have found a new cultural relation through electronic recording, whether in video rentals, off-air recordings, music video, community, campaign or artists' videos. Time Frames explores how Japanese film criticism and history has been written before and after Rashomon. Scott Nygren looks at the emergence of video art and anime, highlighting the creative exchange among North American, European, and Asian media. He places Japanese film at the center of this discourse, and, ultimately, reveals its global role as a cultural medium. This reference provides a comprehensive and accessible introduction to film and film studies, covering such aspects as production, national traditions, studios, genres, critical theory and film history. Approximately 200 entries cover specific topics, including acting, censorship, editing, lighting and others. Also included are more than 230 career profiles, placing individual achievements in the context of specific topics (for example, Robert Altman is featured in the article on "Sound"). Additional features include a comprehensive index; a list of further reading sources; 350 black-and-white and 150 full color photographs; and more. The past 40 years of technological innovation have significantly altered the materials of production and revolutionized the possibilities for experiment and exhibition. Not since the invention of film has there been such a critical period of major change in the imaging technologies accessible to artists. Bringing together key artists in film, video, and digital media, the anthology of Experimental Film and Video revisits the divergent philosophical and critical discourses of the 1970s and repositions these debates relative to contemporary practice. Forty artists have contributed images, and 25 artists reflect on the diverse critical agendas, contexts, and communities that have affected their practice across the period from the late 1960s to date. Along with an introduction by Jackie Hatfield and forewords by Sean Cubitt and Al Rees, this illustrated anthology includes interviews and recent essays by filmmakers, video artists, and pioneers of interactive cinema. Experimental Film and Video opens up the conceptual avenues for future practice and related critical writing. As themes in film studies literature, work and the working class have long occupied a peripheral place in the evaluation of Canadian cinema, often set aside in the critical literature for the sake of a unifying narrative that assumes a division between Quebecois and English Canada's film production, a social-realist documentary aesthetic, and what might be called a 'younger brother' relationship with the United States. In Working on Screen, contributors examine representations of socio-economic class across the spectrum of Canadian film, video, and television, covering a wide range of class-related topics and dealing with them as they intersect with history, political activism, globalization, feminism, queer rights, masculinity, regional marginalization, cinematic realism, and Canadian nationalism.Of concern in this collection are the daily lives and struggles of working people and the ways in which the representation of the experience of class in film fosters or marginalizes a progressive engagement with history, politics, and societies around the world. Working on Screen thus expands the scholarly debates on the concept of national cinema and builds on the rich, formative efforts of Canadian cultural criticism that held dear the need for cultural autonomy. In a world where change has become the only constant, how does the perpetually new relate to the old? How does cinema, itself once a new medium, relate both to previous or outmoded media and to what we now refer to as 'new media'? This collection examines these questions by focusing on the relations of cinema to other media, cultural productions and diverse forms of entertainment, demarcating their sometimes parallel and sometimes more closely conjoined histories. In The Place of Artists’ Cinema, Maeve Connolly identifies a recurrent concern with site, space and cinema architecture in film and video works by artists, extending from the late 1960s to the present day. Focusing on developments over the past decade, Connolly provides in-depth readings of selected recent works by twenty-four different artists, ranging from multi-screen projections to site-specific installations and feature-length films. She also explores changing structures of exhibition and curation, tracing the circulation of film and video works within public art contexts, galleries, museums, biennial exhibitions and art fairs. Providing a chapter on the role of public funding in the market for artists’ film and video, The Place of Artists’ Cinema will appeal to both curators and artists. This vibrantly illustrated introduction to the emerging field of the preservation and presentation of media art brings together the contributions of authors from all over Europe and the United States. 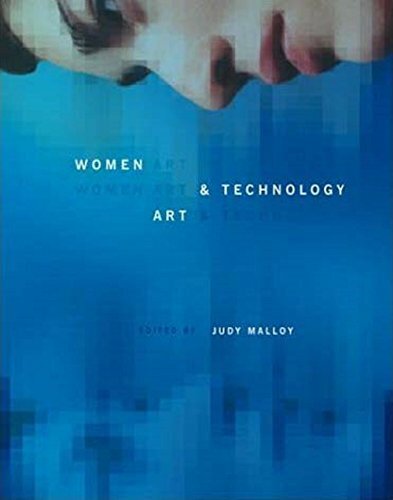 This volume can serve as a textbook for students in advanced degree programs in media art and museum studies, as well as an invaluable introduction for general readers. A potent combination of incisive scholarly articles and focused case studies, Preserving and Exhibiting Media Art offers a comprehensive overview of the history, theory, and practical skills of preserving media art. Digital technology has transformed contemporary culture. New social media, hyperlinks, and cut-and-paste techniques have changed the way we write. E-books, which allow us to carry entire libraries with us, are bringing new browsing and reading habits. Digital editing and other on-the-fly postproduction processes have altered how we make music, films, and visual art. A key rhetorical trope employed in all aspects of digital media is the remix, the creation of innovative new works of visual, literary, and performance art through the mashup. In remixthebook, Mark Amerika explores the mashup as a defining cultural activity in the digital age. A pioneering media artist and acclaimed cultural theorist, Amerika offers a series of philosophical essays that trace the art of the remix to previous forms of avant-garde and modernist art through mashups of deftly sampled phrases and ideas from a wide range of visual artists, poets, novelists, musicians, comedians, and philosophers--among them Alfred North Whitehead, Guy Debord, William S. Burroughs, Kathy Acker, and Allen Ginsberg. A provocative textual performance that is at once a dazzling model of the literary remix and a state-of-the-art reflection on remix culture, remixthebook captures the unique and continually shifting digital moment in which we live and situates the remix as an art form and literary intervention. To coincide with the publication of remixthebook, Amerika will launch a companion website, remixthebook.com, to facilitate new ways of participating in remix culture by inviting other artists and writers to create remixthebook mashups of their own, pushing the boundaries of art and literary culture further, beyond the current publishing paradigms. Video art dominates the international art world to such an extent that its heady days on the radical fringes are sometimes overlooked--often unknown. This book is an essential and highly entertaining guide to video art and its history. Elwes, herself a pioneer of early video, traces the story from the weighty Portapak equipment of the '60s and '70s to today's digital technology, from early experiments in "real time" to the "new narrative" movement of the 1980s. She also examines video's love-hate relationship with television, from its literal destruction in "scratch" video to its apparent absorption into the mainstream with works commissioned by Channel Four. Throughout its forty-year history, video has been allied to self-portraiture, landscape, painting and sculpture and has been co-opted as a political tool. Artists discussed include amongst many others Nam June Paik, Nan Hoover, The Duvet Brothers, Dara Birnbaum, Bill Viola, Pipilloti Rist, David Hall, Stuart Marshall, Shirin Neshat, Smith & Stewart, Steve McQueen and Sam Taylor-Wood.